About 1853 my 4th great-grandparents, John and Margaret Lawbaugh, migrated West from Ohio to Illinois. They and many of their children settled in and around Geneseo, Illinois. My 2nd great-grandfather, William Henry Lawbaugh was the next ancestor to leave the area in the late 1880’s. I have a lot of research I want to do in this town! I recently found myself at the Geneseo Public Library website. I will admit I was having a random genealogy tangent moment and was not planning to check this website. I have been here before and seen the extensive listing of genealogy materials the library holds. I would love to take a genealogy vacation and hole up in the library to comb the materials. This time I visited the website, I noticed a link to “digitized local newspaper.” There are ten city and county newspapers that have been digitized and posted to the website. The newspapers span 1856-1977! The best part is that the database is searchable! 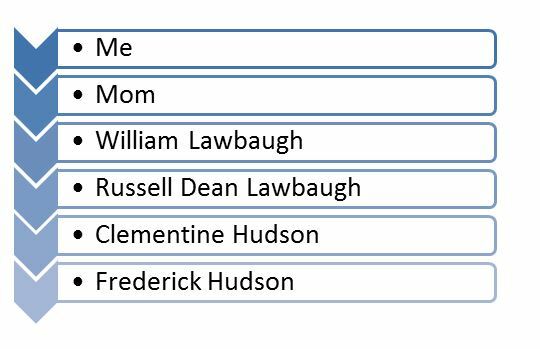 I did a search for my family using just the surname Lawbaugh. The results page includes 211 hits from three newspapers over a 100 year period. I am so excited about all the research I have on my to-do list!! If anyone has ancestors from Geneseo, Illinois, I highly suggest visiting the Geneseo Public Library website and taking full advantage of the great resources there. In the middle of April I traveled to Northern Virginia to visit with my parents. While there, I made a deal that I would help my mom with some computer issues and in return she would watch my kids for a day so I could visit the Daughters of the American Revolution Library. For me, the day spent in the library was like riding a rainbow and finding the jackpot of genealogy gold at the other end. I arrived with a four page list of books I wanted to look at. All day I was making finds and shoring up research I have already completed. I would have been happy with the information I found in the first five hours of the day. I had no idea the day was going to get even better. I wanted to end the day with further research on my Lawbaugh line. 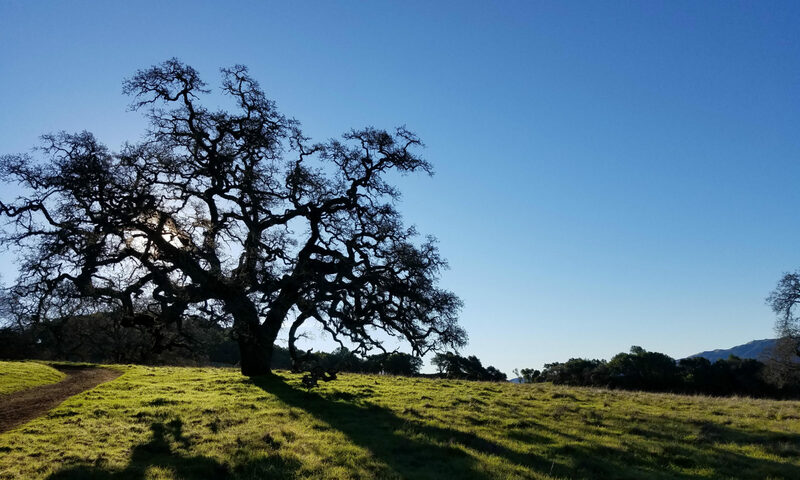 As part of my research I have already checked online trees to get clues where I needed to look. I had a feeling that I could connect my Lawbaughs via Kansas, Illinois, Ohio and Pennsylvania to Johannes Laubach. Even with the online information, I want to conduct my own research for originals to prove my hypothesis. 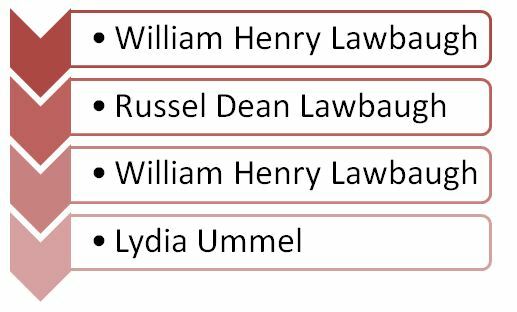 I currently have research completed for my line up to William Lawbaugh (1823-1896) m. Lydia Ummel. I have collected death certificates, obituaries, and cemetery information for the family. My research log has finding marriage and birth information for both of them next on the list. The jackpot moment at DAR came just after 3pm. I made my way over to the Seimes Technology Center to look up a book called “An Ancestor To Remember: Johannes Laubach (Labach-Lawbaugh 1728-1808) of Chester County, Penna.” by Mrs. William T. Alston. I had found the book in the online catalog during my pre-visit research. The librarian in the room helped me to find the scanned book in the digital collection. She was concerned because I had under an hour left in the day to get through an 170 page book. I was almost immediately excited because the index listed names in order of descendent and the page numbers they would be found on. I quickly found my William Lawbaugh and realized I only needed to get through the first 55 pages of the book. I started hitting the print button on each page in case I ran out of time. I plan on going back and looking at the rest of the book on another visit. I had a couple of moments where I had to shut my mouth to not scream in delight. Instead I was punching my fists into the air like a boxer with a punching bag! 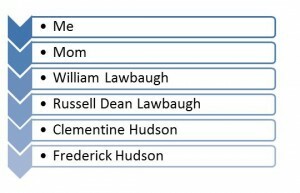 Not only did this book list my William Lawbaugh and his direct line to Johannes Laubach, it also included his descendants including my mother! There are lots of photos of important cemetery markers and photocopies of church records. The most important is the author included her sources. I have a road map to follow on my own research! It still gets even better. The reference librarian was scanning the pages I was printing and mentioned to me that I should run back over to the Library room to pull a book by Stassburger/Hinke. The book was listed as one of the author’s sources for date of arrival in Pennsylvania. With just 15 minutes before closing, I rushed back over and went straight to the reference librarian to get assistance to find the book. As I quickly flipped to the pages for my ancestor Johannes Laubach, I realized that this book contained signatures of people who arrived in the British Colonies from Germany. Upon arriving in the British Colonies, passengers were required to sign an oath to England and an oath of abjuration for Germany. I have the signature of my ancestor who was born in 1728 and arrived in Pennsylvania on the Two Brothers on September 15, 1748!!! 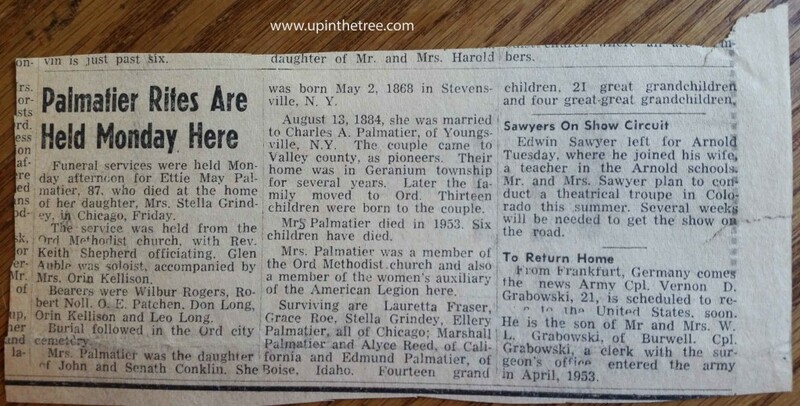 Holy Genealogy Jackpot!! Even now, a month later, I am giddy with excitement about this find. I have to give a huge shout out to the librarians at the DAR Library. I would have missed this jackpot if they were not so knowledgeable about the library collections. Thank you! Thank you! Thank you!